Are your drains clogged? If so, you may need a professional to perform a drain cleaning. If you are ever in need of this service, don’t hesitate to call Residential Plumbing Katy. Our drain services are clean, fast, and professional. We have a team of technicians who are ready to help you when you call our number. Our employees can remove your clogs and free your drains for an affordable price. Drain clearing can be a difficult process if you do not own professional equipment. If you have a clog, special cleaning products and hot water may not always do the trick. Residential Plumbing Katy can offer you a professional drain cleaning that will remove all of your blockage. A clogged drain pipe can be a frustrating problem to have. Are your sinks or bathtubs draining slower than usual? If so, you may be in need of a drain cleaning.  When you call us for help, we will dispatch professionals with top-notch equipment. Our snakes and powerful cutters will cut up and remove any clog you may have in your drains. Blocked drains can cause a big problem in your plumbing system. Your appliances need to have clear drains to be able to work properly. Your toilets, sinks, and other plumbing fixtures will not work properly with blockage in your system. When this happens, you may need a professional drain cleaning to fix this problem. Do you need a drain cleaning? 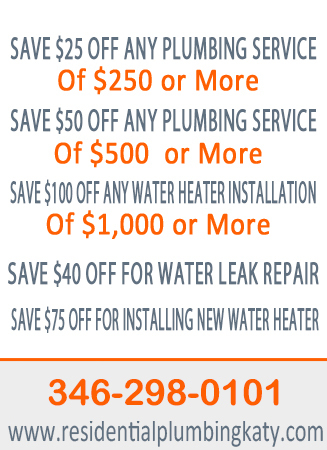 Call Residential Plumbing Katy Texas to fix your clogged pipes. Nobody wants to put up with plumbing malfunctions. It can be very frustrating when the things you use daily fail to work properly. If this ever happens to you, you know there is a company ready to help. We can send out a plumber in no time to help you unclog your plumbing.